Are you currently looking to buy a home in Louisville? It’s important to take your time and ensure that you make the right decision because when it comes to buying a home, there is little room for regret. At The Osborne Realty Group, our professional real estate agents are here to help when you’re buying a house in Louisville. This blog will discuss five helpful tips to get you going. For more information about our realty group or to begin your house hunting adventure, don’t hesitate to reach out and contact us today. One of the most common mistakes that homebuyers make is not paying enough attention to their finances. 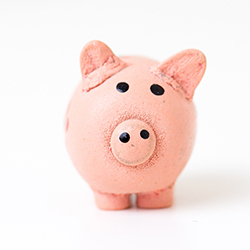 In the heat of the moment, it can be easy to overlook your budget, but this will cause you significant problems down the road. Make sure to fully understand and have copies of your credit report. Once you have this and you’ve made sure that all of the information is correct, find a lender to get pre-approved for a loan. This will go a long way in helping you be in the right position to make an offer when you find your dream home. Another blunder that homebuyers frequently make is not sticking to their budget. A good rule to follow is looking for a home that is around two-and-a-half times your annual salary. Your real estate agent will help to make sure that you’re not spending more than you actually have. Also, remember that the price of the home isn’t the only money you’ll need to spend. Remember that you will be spending money on things such as your property taxes, energy bills, and more. In the modern age, you have access to countless listings and resources to help you buy a new home, but don’t let this fool you. While this information will help you during your search, real estate is a complicated industry that requires a knowledgeable professional to guide you through. Don’t go in alone or you’re likely to make a mistake, not get the best deal, or end up with a home that you don’t love. There is no need to worry, though. 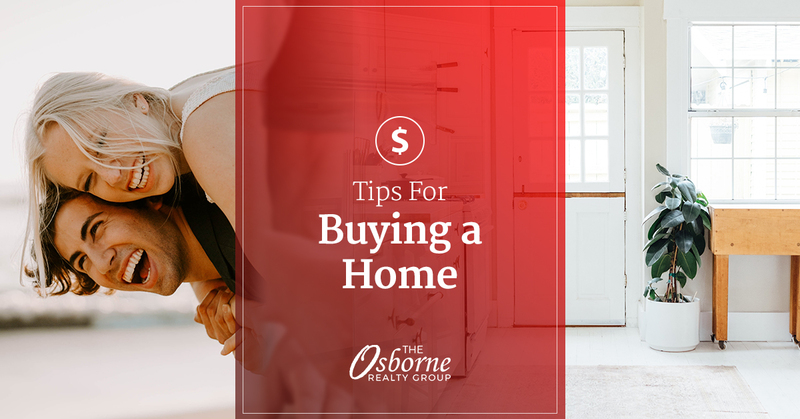 When you have a trusted real estate agent from The Osborne Realty Group, you can rest assured that they will be working diligently to help you find your dream house and make the process as easy as possible. Before you make an offer on a home, make sure that you have as much information as possible about the current market. Are the sellers or the buyers currently benefiting the most? Following this, research the area that you’re looking to buy a home. What are the sales trends? Look at the selling prices of some of the surrounding homes. Then come up with a bid that is competitive but realistic. Once again, we’ll be there to help you through this so that you get the best deal possible. Always think ahead when buying a home. Even if you don’t currently have kids, take into consideration that you may in the future. Look for a neighborhood with good schools in the area, and don’t buy a home that may become too small if your family grows. Also, make sure to hire your own home inspector that can point out any issues the house may have so that it gets taken care of before you move in and paid for by the current homeowner. If you’re ready to get started buying a home in Louisville or would like more information about our realty company and how our real estate agents can help, then go ahead and contact us today!